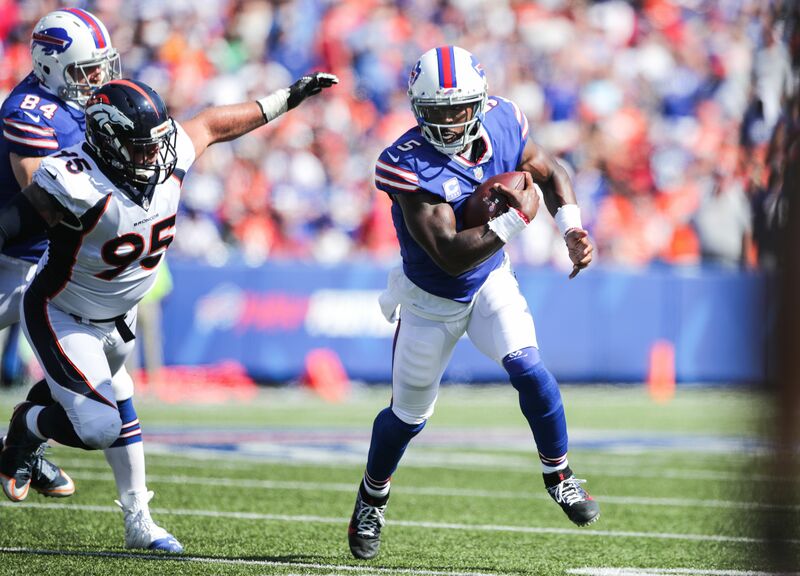 On Sunday at Ralph Wilson Stadium, the Buffalo Bills knocked the Denver Broncos from the ranks of the undefeated. What did we learn from this Week 3 tilt? Off a stunning 42-17 rout of the Dallas Cowboys and off to another 2-0 start, the Denver Broncos hit the road for the first time this season. It did not go well as the Buffalo Bills got just enough offense and kept Vance Joseph’s team under wraps for a 26-16 win. The underappreciated quarterback overcame four sacks and didn’t turn over the football against that Denver defense. Taylor connected on 20 of his 26 throws for 213 yards and a pair of scores. He also ran eight times for 13 yards in the team’s 10-point win. Along with a pair of PATs, one of the league’s better kickers hit on field goal attempts of 49, 55, 53 and 27 yards as Hauschka and the Bills came away with a mini-surprise of the Denver Broncos. Denver’s starting inside linebackers each had 10 tackles and each had one sack in a losing effort at Orchard Park. The visiting Broncos were 3-point favorites to remain among the NFL’s unbeaten. And that conservative over/under was on par with the pass rushes of both of these clubs, meaning Siemian and Taylor were under duress all afternoon. The Denver Broncos are back in the Mile High City for the third time in four weeks and host the formidable Oakland Raiders. For the third straight Sunday, the Buffalo Bills face a team that’s reached the Super Bowl within the past two seasons as they travel south to meet the defending NFC champion Atlanta Falcons.